Go Bake or Go Home: Ice Cream Sandwiches! This is the best idea ever and I want these so badly! 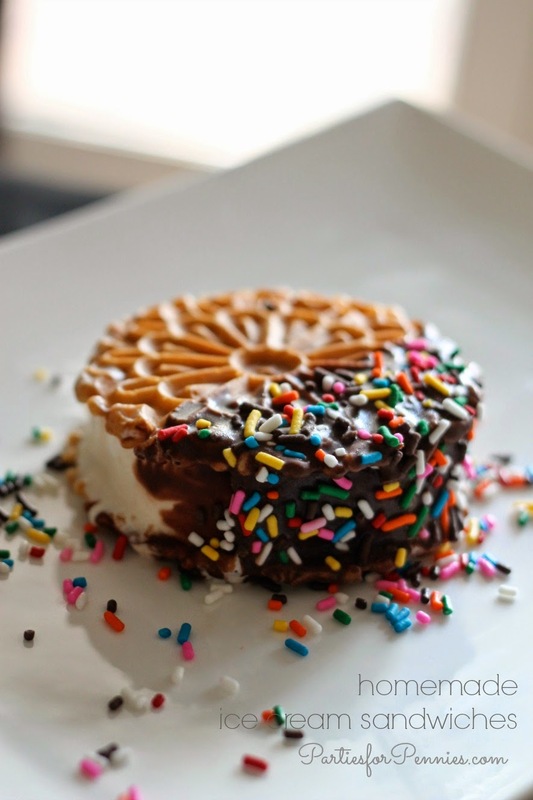 An ice cream sandwich made from tradional Italian pizzelles waffle cookies. They look amazing! And so begins my new obsession... hunting down a vegan version of these fabulous cookies. Any leads or ideas? I guess I could always MAKE them myself since I'm pretty sure that someone in my family has a pizzelle maker! Has anyone ever tasted pizzelles? Or made them from scratch (vegan or not)? Ooo, that does look good! I've never made them, but I bet they can be done. An ice-cream sandwich made with waffle cookies sounds absolutely divine. I can totally understand your obsession. I hope that you find a recipe for these soon.